Generously apply sunscreen with SPF of at least 15 which provides broad spectrum protection. Don’t skimp. Use at least an ounce of sunscreen for every time at least 30 minutes before going outside. Re-apply every two hours after swimming or sweating. Limit sun exposure for sun-burn prone parts like eyes, nose, lips by wearing protective gear such as a wide brimmed hat and sunglasses. Sun’s rays are strongest in between 10 am to 4 pm so seek shade when appropriate. Drink plenty of water especially on hot sunny days to keep your body amply hydrated. Hope you have a safe and happy upcoming summer! This entry was posted in Beauty, Beauty Wednesday, Make-up + Skincare and tagged safe sun habits on May 21, 2017 by Jalpa. 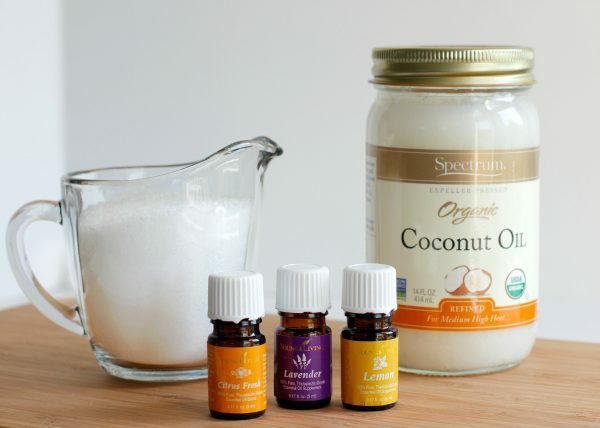 Here is a great quick fix to keep lips smooth and youthful. The scrub is easy to make and reasonable. 1. Mix the vanilla, honey, and brown sugar together in a small bowl. 2. Rub the scrub on your lips. 3. Let the scrub sit for a minute. Easily wipe it off with a damp washcloth. This entry was posted in Beauty, Beauty Wednesday, Make-up + Skincare, Spring and tagged beauty wednesday, DIY, lip scrub, spring beauty on April 13, 2016 by Jalpa. Hello Hydration! Today I am excited to share some incredible skincare products I recently got to test out. YASOU is a skincare brand that specializes in luxe Greek-inspired natural skin care products that contain some serious organic ingredients. YASOU is made locally in the US and is a friendly to the Earth. Not only are their ingredients primarily plant-derived, even their packaging in biodegradable. Living in the Chicago area (after the winter we had), my skin has been feeling parched even though the weather is starting to warm up. And the wind in the windy city does not help either. I have been looking to switch up my daily skin care routine to something more hydrating. That’s when I discovered YASOU. I wanted a product that’s made mostly with natural ingredients. I tried out the brand’s replenishing cellular day and night cream last month. I wanted to give it a good 3 weeks before I reviewed it here. And it has been great. My skin feels like how it would feel after a facial. It feels loved. The creams are heavier than what I was used to earlier so I started off using it every other day. What I love the most about it is even with my combination skin type, the creams do not feel too oily and leave room for it to breathe. I haven’t had any breakouts because of it. Infact I feel my pores are tightening up as I continue to use it. My favorite is the rich and reinvigorating night cream. It gives my skin the much-needed moisturizing and I wake up with my face feeling soft and hydrated. I think it’s repairing the damage from the harsh winter days. I might even start using it almost everyday once it gets colder. I am excited to see and feel the benefits as I continue to use these products. This skin care line feels very pampering. It’s like at-home spa day every day. Indulgence in a jar! I am also looking forward to trying out their upcoming hand cream. I know my hands would thank me if I had that in my purse. Give YASOU a try. I love that their philosophy is all about holistic healthy living. These products were provided by YASOU Skincare! All opinions shared here are mine. This entry was posted in Beauty, Make-up + Skincare and tagged beauty, natural, skin care on June 3, 2015 by Jalpa. Happy Labor Day Monday! While you are enjoying the holiday, here’s a beauty trick to try out this fall. It is going to be a beautiful autumn. This fall I plan to wear dark lipstick a lot. With a bold lip color I always tend to keep my eye makeup quite natural as it may look a little too dramatic otherwise. However, these stunning shots from Vogue Paris definitely inspire me to try and have my eyeshadow match my lipstick – love this! This entry was posted in Beauty, Beauty Wednesday, Make-up + Skincare and tagged beauty inspiration on September 2, 2013 by Jalpa. Let’s talk natural style secrets. I like to use products that are mostly natural as often as I can. I am always striving to include more such products in my beauty routine. Natural style to me comes from taking care of your body. It can be mastered by having radiant skin and good health. One of my essential natural style secret is using an appropriate and well-made serum on my face and neck religiously. In a skincare routine, finding the right serum for your skin can be a tough challenge. A good serum does wonders for your skin. It is a step you should never skip. Face requires extra attention as we need to wipe the day off our face. My skin feels thirsty after a harsh day out in the sun and pollutions or a long night. I recently discovered a magic potion that is almost as natural as if the bottles just grew on the trees. I have started using the Skin Hydrating Serum from Seventh Generation and I love it. It is fantastic. It absorbs perfectly in the skin and does not leave my face feeling oily or sticky. I hate serums that take forever to get absorbed in your skin, before you can put on your moisturizer and sun screen. This serum is true to it’s name and thus, is highly hydrating. Nowadays, due to this hot weather, in the mornings I often find myself not requiring to follow up with a moisturizer afterwards. The serum goes on smooth and leaves my face feeling moisturized. My favorite part is that it is made out of 100% botanical formulas. I am so impressed that every single ingredient in it is all natural. Personally, I am not a big fan of skin-care products with parabens, phthalates and synthetic fragrances. So discovering this plant-based gem was a blessing. Your skin flourishes when you use simple all natural products and don’t mess with it too much. 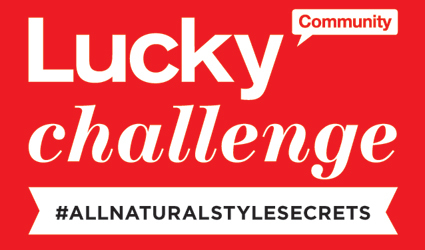 Disclosure: I received a free sample of this product from Lucky and Seventh Generation for use in connection with this blog. The opinions expressed here are all mine. I have been using 1- 2 pumps of the serum daily twice a day after cleansing my face with a face wash and a toner. It’s been almost two weeks. My skin feels softer and hydrated afterwards. Before trying it out, I was afraid this serum might clog my pores or might cause an allergic reaction. To my happy surprise, this pure plant-based product is clinically proven hypoallergenic. One of my favorite perks is that my breakouts seemed to have improved in a few days of using this serum. I wasn’t familiar with this brand prior to using this serum, but it is safe to say now I am a fan. The serum comes in a highly user- friendly and spill-proof plastic bottle with a dispenser that can be locked to prevent the pump from accidentally activating and spilling it. You can try out this skin-improvement tactic by getting this product from Walgreens. Go ahead and treat your skin. It will thank-you glowingly for it. To learn more about Seventh Generation’s All-natural Skin Serums go to SeventhGeneration.com/boosts. These boosting serums are customizable, concentrated blends with no added water. Remember, when it comes to taking care of your skin; less is more. Try and keep your skin away from harsh chemicals. Keep it simple, keep it natural. Some of my other natural style secrets include – drinking lots of water, eating well, exercising and spending a lot of time with my loved ones. Here’s to a happier and healthier us! Please remember to vote for me. Click here! Thank-you for reading beautiful! XO. This entry was posted in Beauty, Beauty Wednesday, Make-up + Skincare and tagged allnaturalstylesecrets, beauty secret, serum, seventh generation on August 23, 2013 by Jalpa.